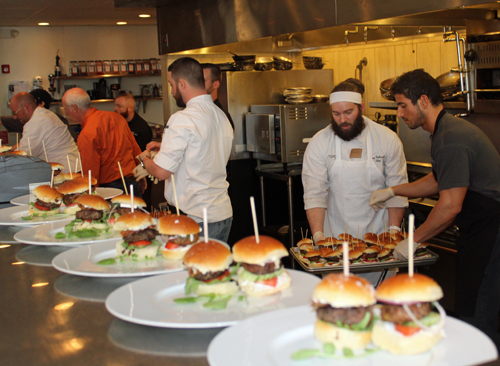 Chefs are challenged to create their best burgers blending 75 percent ground meat (beef, venison, bison, turkey, etc.) with 25 percent cultivated, chopped mushrooms. According to the Mushroom Council, these sustainable burgers are healthier, lower in calorie and cholesterol and juicier than traditional burgers. 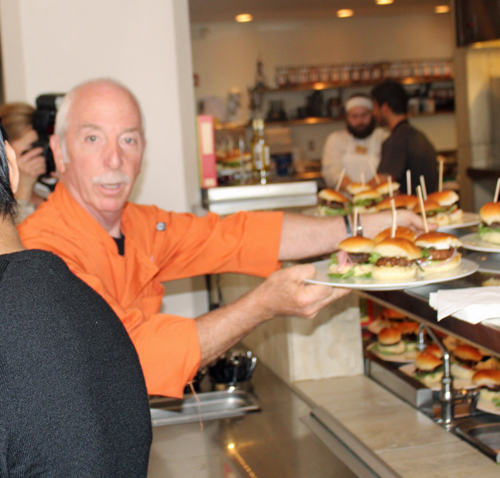 In the past, the promotion was as much a popularity contest as an effort to promote awareness as the top five chefs earned the opportunity to cook their burgers at the prestigious James Beard House in New York City. This year, however, things have changed. Pursuant to the public voting, a panel of food experts selected by the James Beard Foundation will determine five winners from the top 20 entries with the most online votes. Experts will determine the top five winners based on (1) most creative use of mushrooms, (2) best flavor profile and (3) presentation. 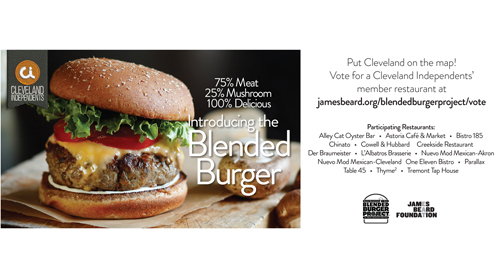 From a public perspective, voters will automatically become eligible to win an all-expenses paid trip for two to the 2018 James Beard Blended Burger event at the James Beard House. The public is encouraged to vote on a daily basis. 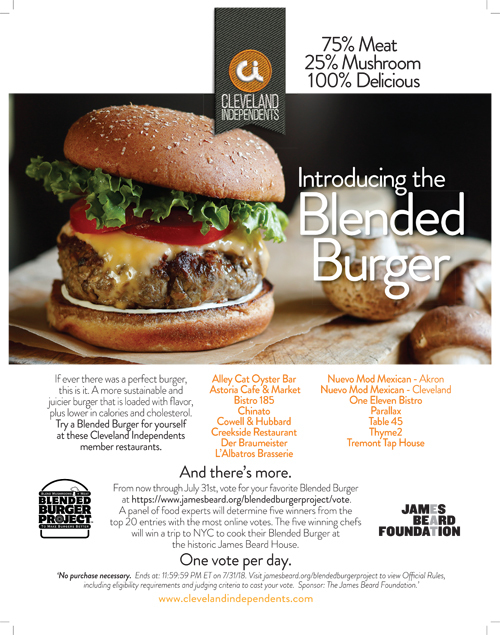 Cleveland Independents’ members participating in the 2018 James Beard Blended Burger Project™ are: Alley Cat Oyster Bar, Astoria Café & Market, Chinato, Cowell & Hubbard, Creekside Restaurant, Der Braumeister, L’Albatros Brasserie, Nuevo Mod Mexican-Akron, Nuevo Mod Mexican-Cleveland, One Eleven Bistro, Parallax, Table 45, Thyme2 and Tremont Tap House. According to trade magazine, Nation’s Restaurant News, more than 50 billion burgers are served in this country each year and are continuing to rise in their popularity. 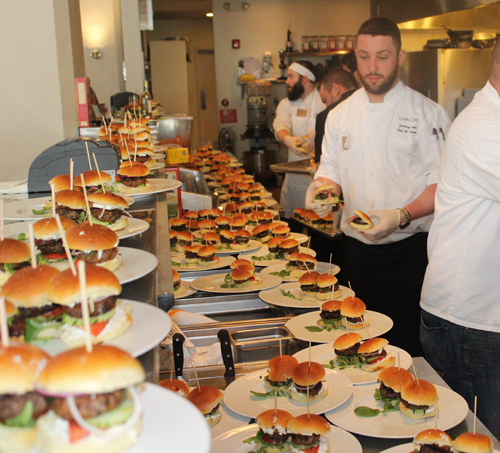 More than 700 restaurants competed in The James Beard Blended Burger Project™ in its first two years. 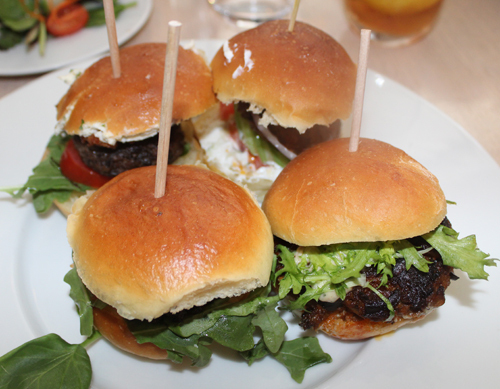 Four chefs prepared blended burgers and explained them at the preview event. Zack Bruell/Andy Dombrowski, of Zack Bruell Restaurant Group, John Kolar of Thyme2 (Thyme Squared), Corey Kobrinski of Astoria Café & Market and Travis Bletsch of Creekside Restaurant.